Dunlop has provided musicians with so many amazing tools for so long that it’s hard to remember a time when that wasn’t the case. It’s also easy to forget that this company doesn’t just have a man’s name—it was actually named after a man. And 50 years ago, that man was perceptive enough to see a need in the marketplace, smart enough to be able to design and build a product to fill that need, and fearless enough to think that he could sell that product to millions of musicians. 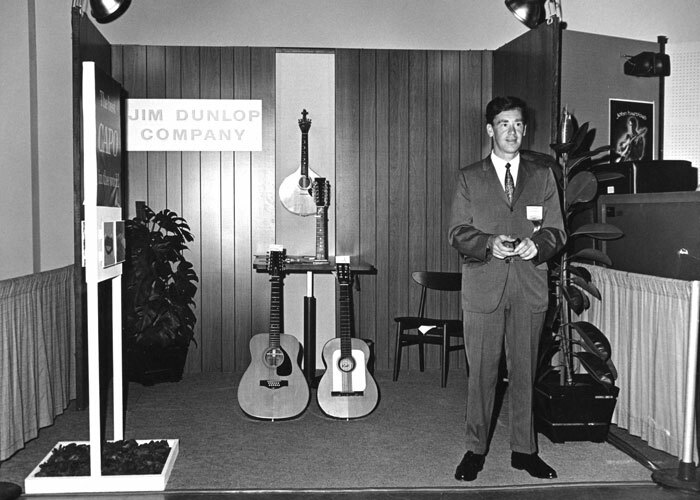 It was indeed that fearless and adventurous spirit that brought Jim Dunlop to the US from Canada in the 1960s. As part of our 50th anniversary celebration, Jim and his son Jimmy sat down with us to talk about our company’s beginnings and most important milestones. 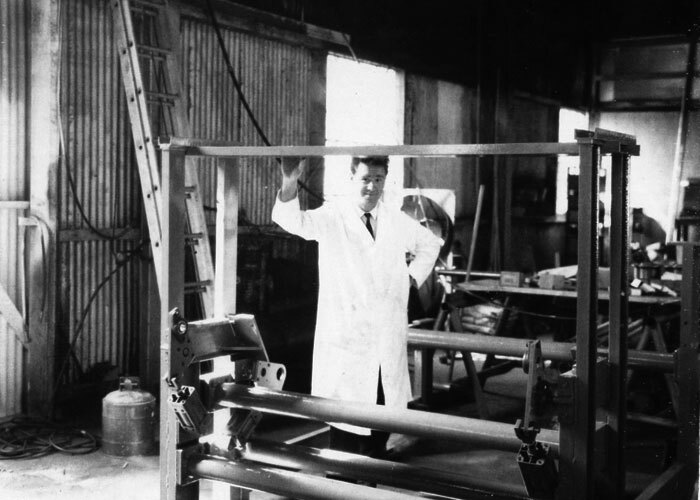 Dunlop began working as a machinist by day to support his growing family. Almost immediately, however, he started creating products for guitarists in his spare time. “The president of the company where I worked played guitar, same as I did. He wanted me to make what we called a VU-Tuner. It was placed on the top of the guitar and it had a reed that vibrated sympathetically with the low-E string.” That product would evolve into the Vibra-Tuner, which Dunlop would pitch to music stores and guitarists on weekends. Despite the fact that there was nothing on the market quite like it, it was poorly received. A seemingly offhand comment from a Berkeley repairman would start a chain of events for Dunlop that led directly to what we know as Dunlop Manufacturing, Inc. today. More and more prominent players began using Dunlop products, allowing Jim to further expand his line. Drawing on input from guitarists, a keen eye for needs in the marketplace, and his machinist’s sense of precision, Dunlop gave players greater options than ever before in their choices of tools. I read every issue of Guitar Player Magazine and found the parts where guitarists said what pick they used. Rather than sit back and ride the success of his pick line, however, Dunlop forged ahead. The holy grail of plectrum material, real tortoiseshell, was no longer available, and no one had come up with a suitable substitute. Dunlop began experimenting with a material that he would name Tortex®, and it would go toe-to-toe with nylon in popularity until it became his top-selling pick in the late ’90s. Harder than nylon, more durable than celluloid, flexible but with great memory, Tortex was a game-changer. After the pick’s release, world-dominating bands like Metallica, Soundgarden, Nirvana, Alice in Chains, and many, many others would all use Tortex exclusively. If the Jazz III was a home run, Tortex was a walk-off grand slam. The Dunlop guitar pick line would continue to grow and expand, with more shapes, colors, graphics, textures, and materials. New additions include Delrin and Ultex® picks, as well as the Primetone™ series, which takes Ultex material to a truly state-of-the-art level with hand-burnished, sculpted edges. And every part of the line embodies the respect for the player, attention to detail, and sense of exactitude that Jim Dunlop put into his very first pick. If you think about how Jim Dunlop approached pick making—recognizing needs in the market, applying precise manufacturing specs, providing guitarists with more and better options, and exploring the tonal nuances of various materials—it’s clear that he followed the same M.O. when he got into the slide business. After producing pedal-steel tonebars for Ernie Ball, Dunlop heard of a glass slide company that was for sale and he acquired it. At the time, there were very few sizes and thicknesses of slides available. That would soon change. Today, Dunlop Manufacturing is truly one-stop shopping for slide players at every level, with more sizes and materials to choose from, plus signature slides for the world’s top players such as Billy Gibbons, Derek Trucks, Joe Perry, and more. Into the ’80s, Dunlop Manufacturing was primarily associated with the folksy side of the guitar market, offering slides, capos, and picks to players. Driven to grow his business, Jim Dunlop caught wind that the iconic Cry Baby® brand had become available. “The pedals had been off the market for six months,” he says. “Dealers were unable to get them in their stores. We wanted to bring them back.” Dunlop sought out the right people to contact, figured out who he should make an offer to, and leaped into the deep end of the guitar effects pool by acquiring the hallowed wah wah pedal brand. That fearless move forever altered the trajectory of the Dunlop company, not to mention the entire music business as well. Dunlop’s son, Jimmy, was on the scene for the transformation. We constantly examine every component and look for ways to improve them. That ability to see an opportunity and make it work is a recurring motif in the history of Dunlop, and it never proved more successful than with the Cry Baby acquisition, although it wasn’t an easy transition. For the Cry Baby line to grow into what it is today, there were technical and logistical hurdles that would need to be overcome. 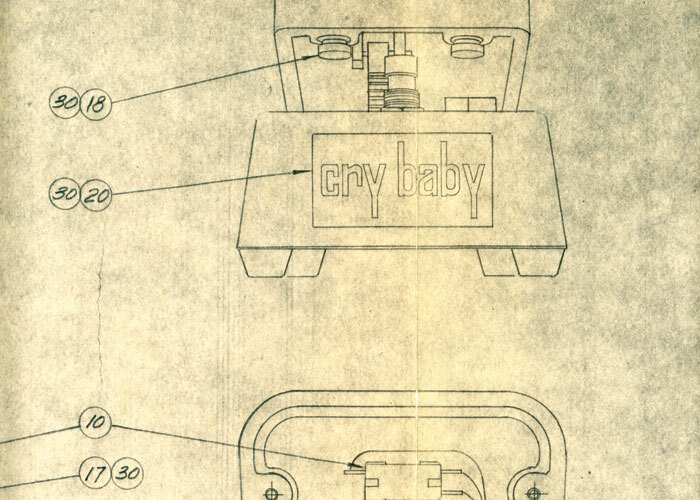 The Cry Baby acquisition firmly established Dunlop as an electronics company. Soon enough, an opportunity would present itself that would not only expand the pedal line, but also transform Dunlop’s relationships with artists all over the world. We figured, if the most iconic and influential guitarist of all time used a product, that was a pretty good recommendation. 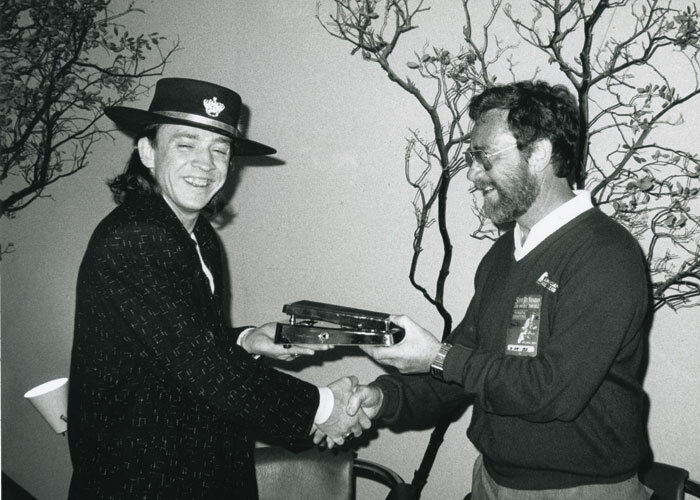 Jim Dunlop connected with Hendrix’s father, Al, and informed him that Dunlop wanted to release a wah pedal with Jimi’s name on it, and the company intended to pay Al for every pedal sold. With that relationship solidified, Dunlop’s natural curiosity and resourcefulness led him to explore the other elements in Hendrix’s tonal recipe. Still motivated by a determination to grow his business and meet musicians’ needs, Jim Dunlop consulted and partnered with industry experts who were intimately familiar with Hendrix’s tone and the circuitry of his pedals to recreate these famous products. Dunlop is now unquestionably the caretaker of the Hendrix signal chain, and it’s a role that the company takes very seriously. Players all over the world have responded in droves, using fuzz, wah, and every other Hendrixian effect to fuel countless hits. With the famed Hendrix signal chain under its belt, Dunlop was now a major player in the electronics game. After a brief time, the company would take on yet another classic line that was lying dormant: MXR®. 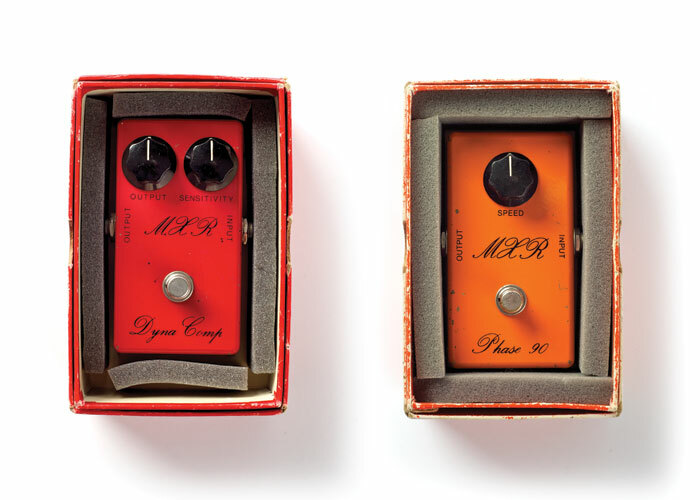 In the ’70s, it was virtually impossible to find a hit record or a famous guitarist that didn’t have an MXR pedal associated with them. Led Zeppelin, Van Halen, the Rolling Stones, and many others stomped on brightly colored MXR boxes to power their classic tunes. But the ’70s turned into the ’80s, styles changed, and what had been cool was suddenly out of fashion. 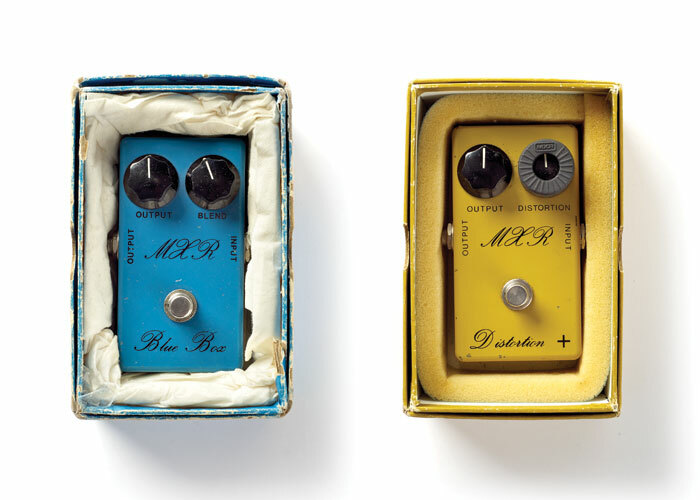 MXR was languishing, but Jim Dunlop recognized the legacy that MXR had built and saw the potential of this storied brand. It was only a short time later, however, that the line was able to truly take off. Building on the foundation of MXR’s classic offerings, Dunlop began expanding and innovating, bringing new and exciting designs to the marketplace. And grow it did, with dozens of stompboxes in the line and more on the way. Classics like the Phase 90 and Dyna Comp Compressor sit side by side with cutting-edge designs like the Super Badass™ Distortion and the Carbon Copy® Analog Delay. Preserving tradition while forging ahead—that’s the Dunlop way. The MXR line is so strong and vibrant today that it’s difficult to remember when space-age digital gear residing in refrigerator racks was not only the order of the day, but seemingly the wave of the future. Fast-forward to the present day and those rack pieces have not aged so gracefully, whereas these little multicolored analog boxes are cooler and more popular than ever before. The first half century for Dunlop Manufacturing has been one of the most amazing, improbable, inspiring, rocking triumphs in the history of the music business. 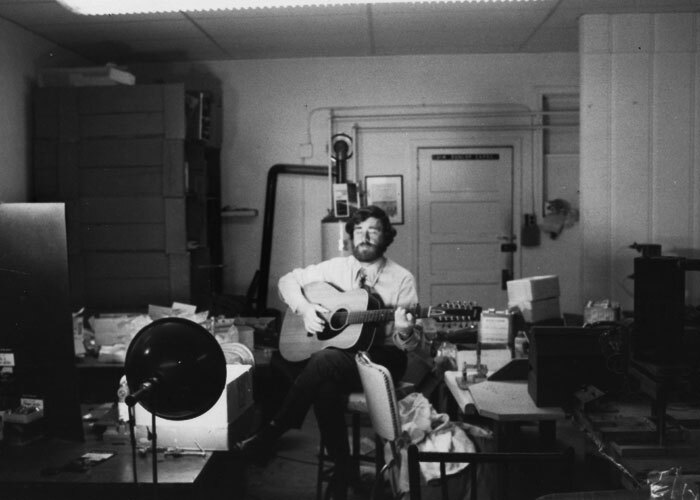 From impossibly humble beginnings, Jim Dunlop turned his musicianship, technical know-how, and fearlessness into a legendary company that musicians worldwide look to for accessories, electronics, and more. Through it all, Dunlop is still a family company, and our R&D and production facilities are all still in Benicia, California, with a team of more than 250 skilled and dedicated people who work hard every day to uphold Jim’s commitment to providing musicians with the tools they need. The next 50 years will see Dunlop expanding on the lines of picks, capos, slides, and stompboxes. Already an accessories powerhouse, Dunlop is now branching out into the string business, with state-of-the-art manufacturing processes and support from top musicians such as Marcus Miller, Jerry Cantrell, and Zakk Wylde. In the effects world, Cry Baby and MXR have grown from a handful of authentic reissues to expansive product lines with dozens of new and innovative designs, and the Way Huge line is delivering one unique pedal after another, giving players more options than ever. Hailed by many as one of the last true rock and roll companies, Dunlop understands and reveres tradition while embracing the future—with the vision, drive, and tenacity that the founder put into creating his very first pick 50 years ago.